© Zhu Lini; Licensee Bentham Open. The Publisher and Editor have retracted this article [1Z. 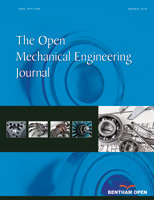 Lini, "Application Research of Decision Tree Algorithm in Sports Grade Analysis", Open Mech. Eng. J., vol. 9, pp. 1097-1102, 2015.] in accordance with good ethical practices. After thorough investigations we believe that the peer review process was compromised. The article was published online on 09-11-2015. Z. Lini, "Application Research of Decision Tree Algorithm in Sports Grade Analysis", Open Mech. Eng. J., vol. 9, pp. 1097-1102, 2015.